We got a new bit of news about the upcoming port of Luigi's Mansion for Nintendo 3DS during today's Nintendo Direct. The spooky ghost-bustin' title will feature a new two-player co-op mode! 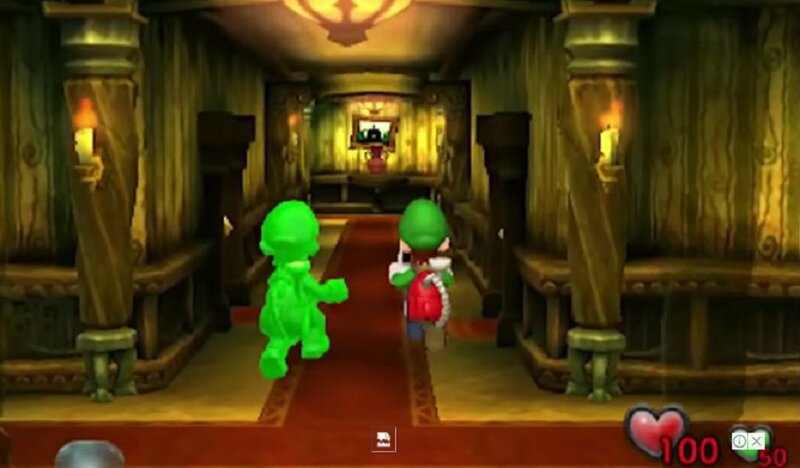 Player one steps into the shoes of the taller Mario brother, whilst player two controls a spooky green outline (but not the spirit that left Luigi when he was MURDERED during the previous Nintendo Direct). Players who each own a copy of the game an play through the entirety of the adventure together. If only one of you owns the title, then it's just the boss battles. Various amiibo are compatible with the new remake, including Boo, Toad and, of course, Luigi himself, all of which will provide you with help and secrets on your journey through the ghost-filled homestead. Luigi's Mansion launches on Nintendo 3DS October 12.